The dreaded temper tantrum. If you have young children, you are all too familiar with these regular occurrences. 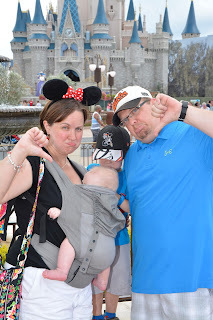 Like preparing for the heat during a summer Walt Disney World Resort vacation, you probably aren't going to be able to avoid the dreaded temper tantrum - they will happen. . .probably multiple times. . .each day. The best thing you can do is to try to anticipate when they will happen and have a plan to deal with them when they do. Here is my "expert" take on what causes tantrums and how to navigate through them. Tantrum Trigger - "I'm hungry." This would seem like an easy tantrum to deal with. You're in a theme park with endless food options - and therein lies the problem. Finding an agreeable food option for the entire family or towing the line that Mickey Premium Ice Cream Bars (no matter how tasty) do not constitute lunch, food can become a battle. The other time food becomes an issue is when you're 20 minutes into a 45 minute ride line and this gem of a tantrum begins. Advice - Carry small, healthy snacks in your bag. Whether it's fruit, crackers, pretzels, or something similar, kids will be satisfied (for the moment) with something in their tummies that you know they like to hold them over until your dining reservation that is an hour away or while you finish waiting to ride Splash Mountain. I pack an entire extra suitcase of food and/or order groceries online for delivery to our hotel so that I have a wide variety of snacks to offer to kids throughout the day. Tantrum Trigger - "I'm hot." Well kid, you're in Florida - get used to it. Wouldn't it be nice if that answer works? But alas, kids are not always rational creatures and when they're hot, they'll make you miserable complaining about it. If you're traveling to Walt Disney World Resort in the summer months (or even late Spring and early Fall), this is likely to be a concern for your kids. Advice - Take cool off breaks. The good news is that you don't have to go back to your room in the middle of the day to do this - although you certainly could if you wanted. Inside the parks, guests can take advantage of the Baby Care Centers as a quick place to take small kids inside the cool off. We also bought a small stroller fan for less than $15 on Amazon prior to our trip to keep kids cool. Keep them hydrated during the day and spend some time in indoor attractions. There are even some fun splash areas inside the parks - just remember a change of clothes in case your kid gets soaked. Tantrum Trigger - "I want a toy." Ever notice that just about every Walt Disney World attraction ends in a gift shop? Well played, Disney. Well played. Guess what, my kids notice this too and are always looking for "something" to buy. Advice - Have a plan and communicate it ahead of time. There are several plans that can work in this situation. The first is to give kids a Disney allowance. Whether you use Disney Gift Cards, Disney Dollars, or cold hard cash, your child will have a finite amount of money to spend. Another choice, not allow your kids to buy anything in the parks. Instead, surprise them in the room with little Disney gifts that you've picked up on sale at home. They still feel like they're getting something, and you save some money. Lastly, you could explain limits to your child. Maybe they get one or two toys on the whole trip to pick. Whatever method you choose, I've always found it best to talk about it with my kids ahead of time so they know exactly what to expect. Tantrum Trigger - "I'm bored." Who knew the most magical place on Earth could be boring? Toddlers and preschoolers - that's who. Granted, they have lots of fun when they are engaged in activities, but there is also a lot of "waiting" time. The bus rides, dinners out, lines for rides or character meets, etc. can all be agonizing for children. Advice - Carry small items to keep them entertained. This can be games or shows downloaded on your phone, snacks, or those little play packs that have books, stickers, and crayons. The good news with this tantrum is that fun is just around the riverbend, which usually helps them wait it out. Tantrum Trigger - The complete meltdown. This is when your little prince or princess completely loses their mind, with or without reason, in the middle of the park and resembles something akin to Stitch (You're badness level is unusually high for someone your size). Instantly, you feel like the worst parent in the entire park and like all parents are staring at you and secretly judging you. Since during this tantrum, most kids have lost the ability to rationally think or speak and can't communicate what is going on, it's exceptionally hard to solve. The best advice I have - remove, redirect, and wait it out. We were once in Epcot when a horrible summer storm blew in out of nowhere. We ducked into a restaurant, grabbed a snack, and waited for it to pass. Then went on to have a good rest of the day. This is kind of what you need to do in this case. Find a quiet(er) spot in the park to move to - off to a bench, behind a ride, wherever - to gain a bit of privacy for your little one. Know that trying to talk to them probably isn't going to be very effective at first and yelling at them is just going to escalate the situation. Once they start to settle themselves, redirect their attention back to next thing - a snack, a favorite ride, etc. Is this bribery? Maybe. Does it work? Sometimes. One of the biggest things to remember when you have a tantruming child is that you're in Walt Disney World - everyone with a small child is going through the exact same thing. So while you may feel stressed and terrible in the moment, be assured you are not alone. Remember that you won't be able to avoid all of the tantrums, but you can be prepared when they occur. 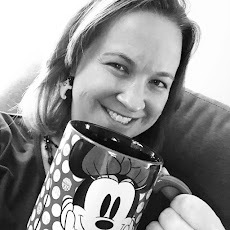 This post pairs well with an older one that I wrote if you're looking for more lessons I've learned while traveling with my little ones - Things that May Terrify Your Kids in Walt Disney World. What are your favorite tips for traveling with little ones to minimize tantrums?